Do you know where to find an African medallion? Know the secret of a claddagh ring? Ever make batidas or try rambutan? 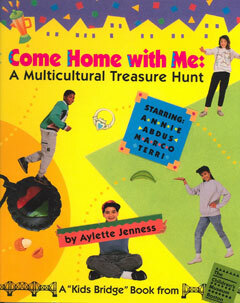 Join Terri, Marco, Annie, and Abdus as they take you on tours of their homes and neighborhoods in a multicultural treasure hunt that is both educational and entertaining. Also available in Spanish as Ven a mi casa.